Integrated physiology and animal science research. Our research is focused on animals and their health and well-being and aimed at increasing the productivity of livestock and the value of related products. We use chemical, genomic, proteomic, epigenetic and phenomic analysis tools as part of a unique integrated approach, allowing us to innovate in the areas of genetic improvement of animals, food and nutrition, as well as husbandry practices. 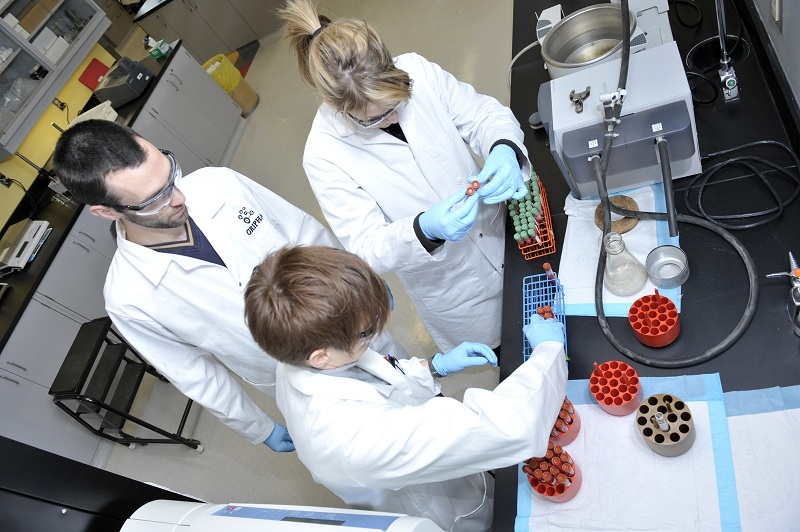 Our research goal is to produce healthy, safe food from healthy animals and to study the ethical and regulatory implications raised by scientific advances in the agriculture and food industries. 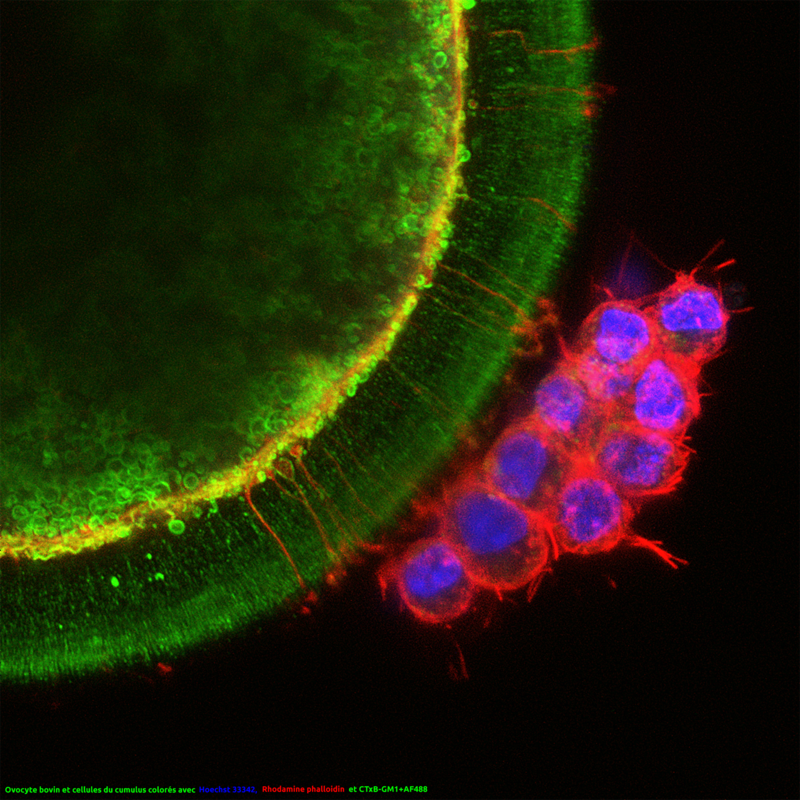 Observation of a cow ovum and feeder cells (Green: RNA, Blue: DNA, Red: membrane projections). 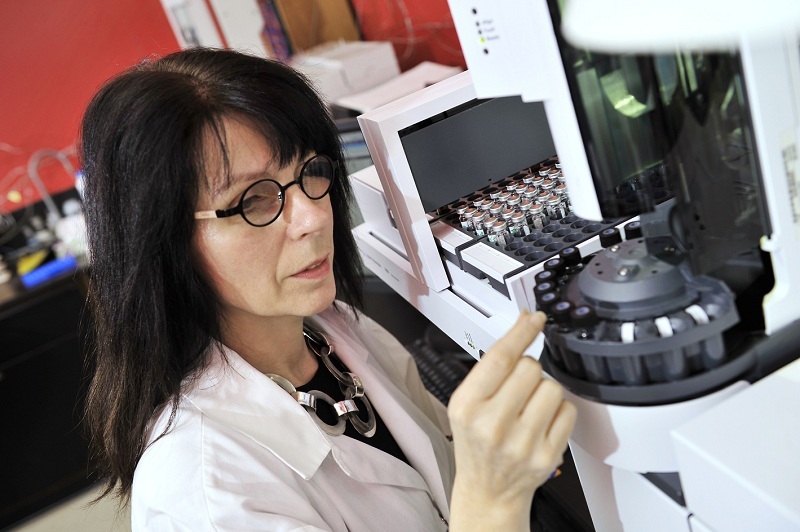 A technician performs detections using a chromatograph with a mass spectrometer and olfactory port (GC-MS-O). Preparation of blood samples for lipid composition analysis. 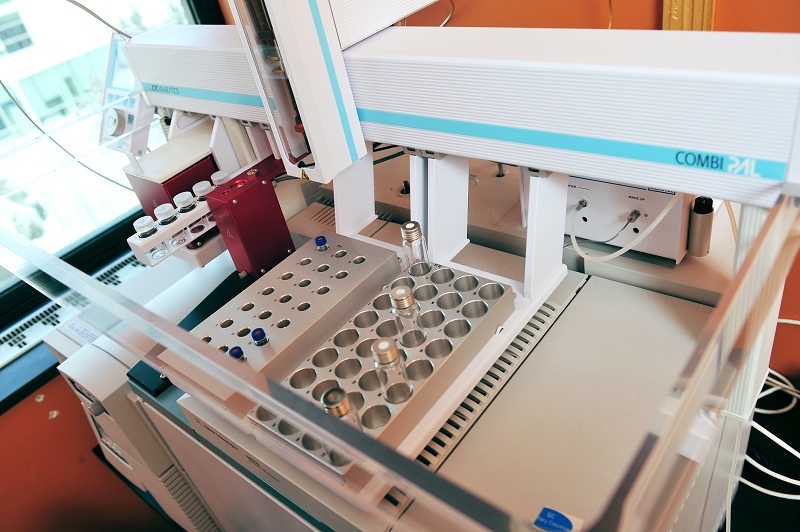 Gas chromatograph with a flame ionization detector (GC-FID). 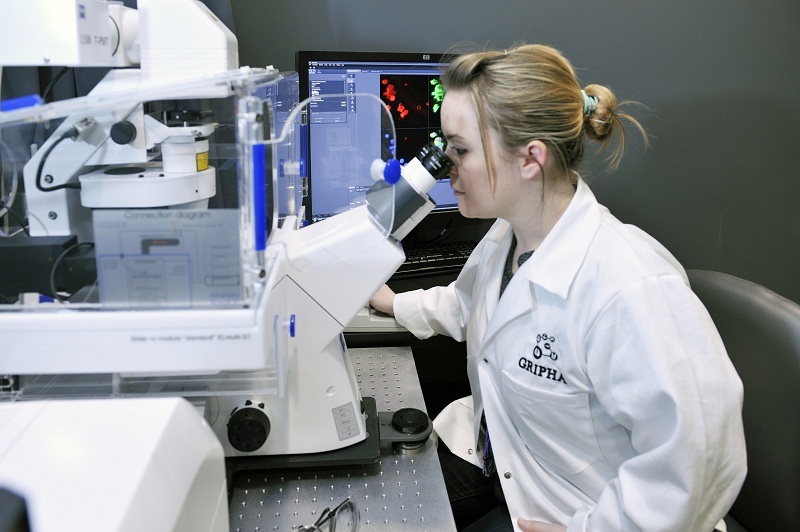 Real-time observation of live cells using the “live-cell imaging” system. 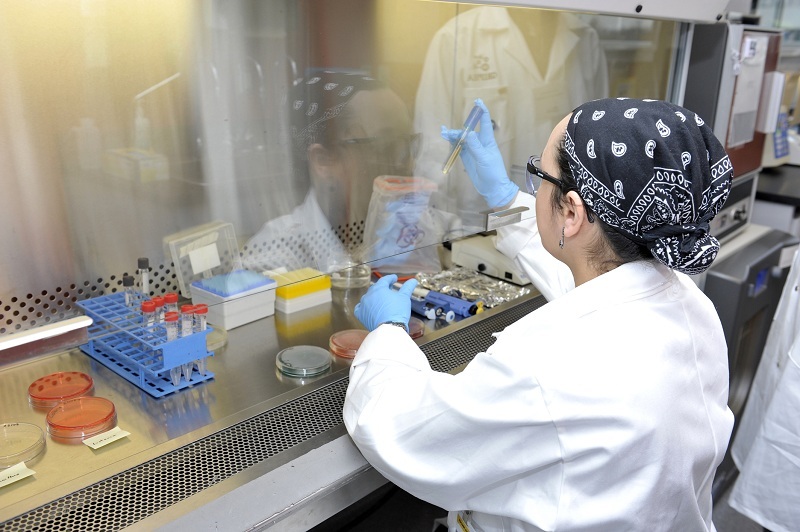 Observation of bacterial cultures during food safety studies. Preparation of fish vertebrae samples for a phosphorous composition analysis. 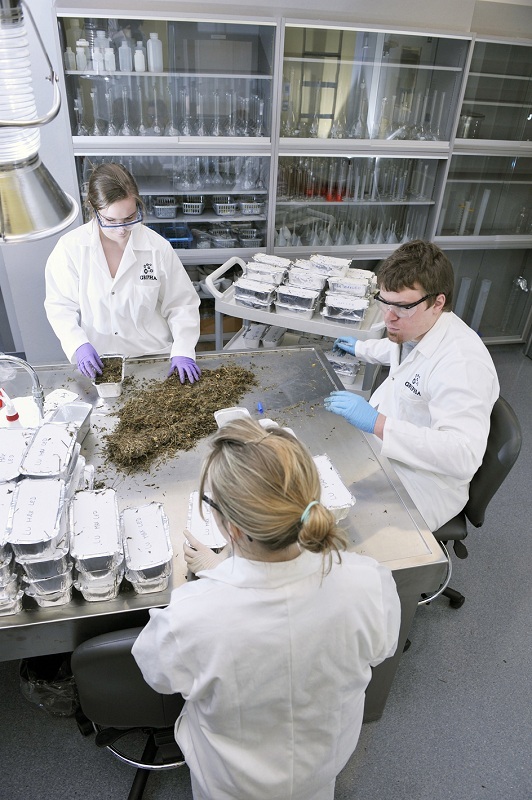 Preparation of fodder samples for nutrient composition analysis. 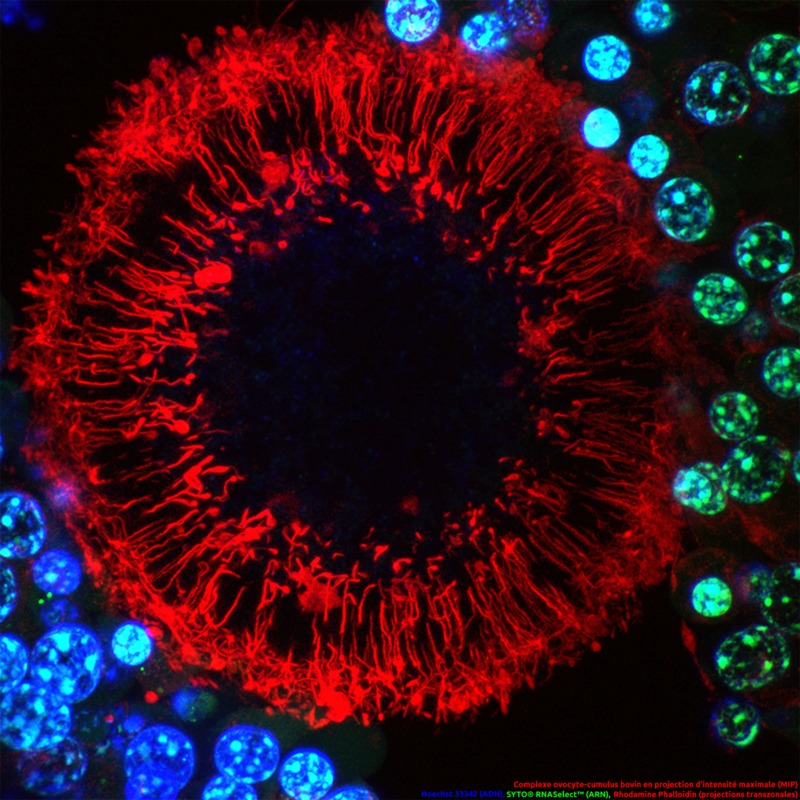 Identification of the links between the developing cow ovum and feeder cells (Green: membranes, Red: cell structure, Blue: nucleus).